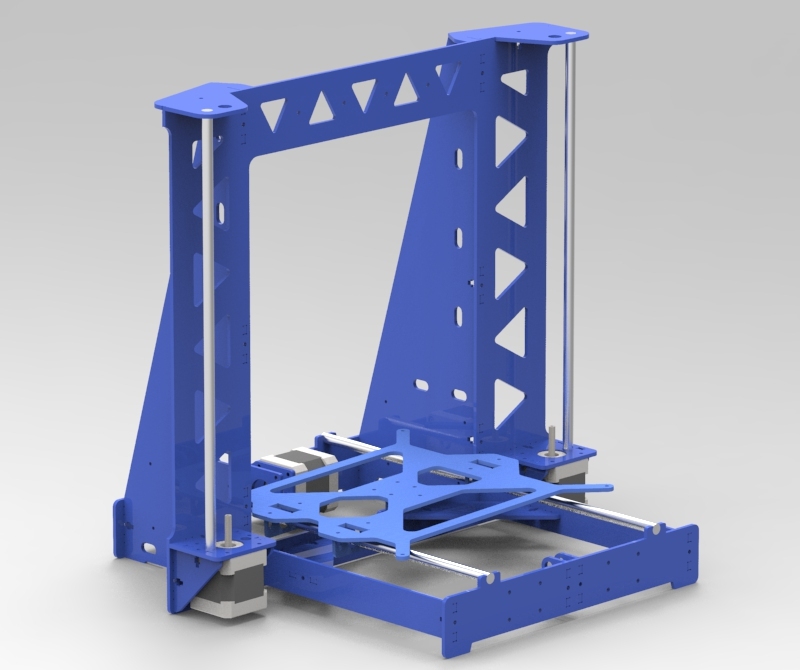 The P3Steel is a frame for your Prusa i3 / Clone. It's far more stable than it's plastic counterparts. Building it is relatively easy, and the benefits are huge. Note for Anet A8 owners: If you decide to upgrade to this frame, you will need to print out a plethora of new parts. The X joiners for instance, do *not* fit. The threaded and guide bars are ~1mm closer together on the steel frame than they are on the acrylic frame. This section assumes that you need to print out the parts for the frame and don't have fitting models already printed. If you do, fantastic, you can skip this section. All of the parts that you need can be found on Thingiverse.